To pick up where my last blog left off – more than three months ago – the preparations for Christmas were in full swing. Christelle and I had already booked our tickets to take an easyJet flight over to England on the 22nd December, coming back on the 31st December to spend New Year in Switzerland, and were looking forward to a fun, yet relaxing festive holiday after a very busy 2009 (including a wedding and moving countries). Possibly the most stressful and time-consuming ritual of Christmas is the search for the perfect Christmas presents that will bring joy to our loved ones, using gifts to show the love that we so often struggle to express in words. I was determined to put the maximum amount of thought into our gift selection this year, instead of my usual cop out of buying everyone DVDs or CDs (the wonders of Internet shopping). Well, I say that I was more determined, but in fact Christelle was more the driving force in this area – I was just happy to see my family at Christmas and so I relied on Chris’ ability to come up with ideas to help us in our choices. As it turns out, finding the right presents is a task that becomes considerably more difficult when you are limited by what you can fit in your suitcase. Bearing in mind that we would be in England for just over a week, the size of the gifts we could bring with us would have to be carefully thought out – after all, we would need to bring some clothes with us as well. That meant we had to find gifts for seven family members that would all fit in our suitcases, and ensure we could still bring some clean underwear to keep us fresh for the festivities. “Rather you than me”, I hear you say at this point. In fact, I think we lived up to the challenge fairly well, even if we did end up buying a couple of the presents in England (including a DVD, although I did actually go to a shop to buy it instead of turning to my old friend Amazon). As December progressed, the amount of light in the day became steadily less, and the temperature began to drop almost on a daily basis, the tell-tale signs of an approaching winter. Luckily any depressed feelings about the cold, dark winter time is always swept aside by that special, warm feeling that only Christmas can bring. I don’t think we ever lose the sense of joy and anticipation that we experience in the build up to Christmas, even if with age it becomes more a sense of happiness in being with your family and an anticipation of how others react to the gifts you give them than the joy of opening presents and an anticipation of wondering what you will receive. For me, Christmas is always a special time of year that changes my outlook on life – everything becomes happy and positive, as if staring through rose-tinted glasses. I try to keep this feeling going as long as possible, and so I usually start playing Christmas songs in November. It was no different this year – I might have changed countries, but that just meant I had a different set of people to annoy through the continuous looping of my favourite Christmas hits, such as “Fairytale of New York” and “I Wish It Could Be Christmas Everyday”. The unfortunate recipients of my own brand of Christmas cheer this year were Nelly and Bernard, for whom I made a special Christmas song CD (entitled “Swiss Christmas”) for their own enjoyment. My over-eagerness for Christmas was a good match for Bernard’s love of Father Christmas, or “Père Noël” as it is in French. My father-in-law has what many people would describe as an obsession with the fat, bearded man (Santa, not Brian Blessed). Every year he brings out his collection of Santa models/dolls, and scatters them around the living room. It is a very impressive collection that manages to grow year on year as he buys new additions for his team – I believe they now number around twenty, all of them different sizes with a mix of the red-suited Santa and the more traditional Saint Nicholas costumes. Combining the Santas with a real Christmas tree (complete with a train circling around the bottom) and newly-purchased flashing Christmas lights meant that entering the living room becomes more like entering Santa’s Grotto. After decorating the apartment in readiness for Christmas, we did not simply sit around and wait for the Big Day. Instead, we kept ourselves busy by visiting various Christmas markets, looking for gift ideas or nice decorations that would further enhance our Christmas spirit. We went to markets at Morges, Montreux, Basel, Bulle and Lausanne, making sure to treat ourselves to at least one glass of mulled wine each time, even if we returned home empty-handed afterwards. As Christelle and I would be in England for Christmas, we had decided to have a separate Christmas Day with Nelly and Bernard, as well as with Caroline and Pascal, and had selected the 2nd January to have a meal together and exchange our presents. That meant we would have a Christmas in England, and then come back to Switzerland for another Christmas. It is a good thing that I like Christmas, as we had a third one planned with the rest of Christelle’s family the weekend before we went to England. They had rented a hall in Epalinges and everyone brought their own meats to cook as “fondue chinoise” or “fondue bourgignon”, methods of cooking slices of meat in a pot of hot broth on the table. The room and table were decorated to make it more festive, and I helped out by supplying the music for the day – a choice selection of my favourite Christmas songs, including The Chipmunks’ “We Wish You A Merry Christmas” (there were young children at the party). The meal was excellent, washed down with plenty of nice wine, having already polished off several bottles of mulled wine before we sat down to eat. The atmosphere was really festive, helped by the fact that the hall had huge windows looking out over a landscape that had been coloured white after it snowed for the whole day. Santa Marco enjoys his "coffee"
﻿﻿Everyone enjoying being together and sharing lots of laughs, the biggest of which was undoubtedly when Marco emerged dressed as Santa Claus (for the young children) and was given a coffee laced with a more-than-generous helping of a very strong alcohol, which he described as being “a bit hot” while his cheeks turned red and his eyes glazed over! All in all, it was an excellent Christmas party that was thoroughly enjoyed by everyone. Having celebrated Christmas with our Swiss family, it was almost time to take the flight to England to celebrate with our English family. By this point I was so excited at the prospect of seeing my whole family again (for the first time since October) that I simply could not wait for our early morning flight. Every second that ticked by edged us ever closer to the flight and the reunion with my family. Unfortunately, life had other plans. Snowfall in England – something that usually means a light dusting of white in the morning that then turned to slush by the afternoon - was this time causing travel chaos. Having snowed since the end of the previous week, much of Great Britain was covered by several inches of snow, and, as England is so terribly unprepared for any amount of snowfall, this meant that roads were closed, trains were not running, and – most importantly – many flights were being cancelled. Concerned that our Tuesday morning flight would succumb to the adverse weather conditions, I spent the majority of Monday checking both the easyJet and Luton airport websites for the latest news and cancellations. In the early hours of Tuesday morning, my fears came true as easyJet announced that all flights to and from Luton airport on Tuesday were cancelled, including our flight. Devastated, I then spent hours waiting for more news on the easyJet website to find out how to re-book our flight for Wednesday. Constantly pressing the “Refresh” button on my web browser, I tried to focus my thoughts on getting the next available flight to England instead of letting my sadness and further fears of potentially missing Christmas with my family get the better of me. Finally, at around 4am, I was able to re-schedule our booking to fly to England on the Wednesday morning, meaning a 24 hour delay on our trip to England. Despite the delay, I was relieved that we had managed to get places on another flight, as it could easily have already been fully booked, leaving us with no available flight to England before Christmas. Our extra day in Switzerland was an enjoyable one, thanks to the support and good humour of Nelly and Bernard, who helped to keep my spirits up after the disappointment of the cancelled flight. Finally, the big day came – following another evening of repeated checks on the easyJet website, just in case – and we headed to the airport to catch our plane. After Bernard dropped us off and we had checked in, Christelle and I hurried to the departure gate, anticipating a large queue. What awaited us was almost the exact opposite – we were practically the first ones there. Such was our rush to be on time that we neglected to purchase a drink before going through the security check point ahead of the gate, meaning our wait to board the plane would be accompanied by a dry thirst, which was increased due to the exercise we had in getting to the gate. By the time we got on the plane – which was fortunately on time – we both had throats drier than a Martini in the Sahara. Luckily we were seated right near the front of the plane (one of the advantages of having Speedy Boarding with easyJet), and so did not have to wait too long before we could purchase drinks from the flight attendant. Not wanting to pass up an opportunity for food, I accompanied my drink of water with a nice bacon baguette – yum yum. The flight landed at the scheduled time, and we made our way off the plane and through the passport control at Luton airport. After collecting our suitcases, we headed out to the arrivals section of the airport, where we were greeted by the smiling face of my Mum, who promptly gave us both big hugs in what was an emotional reunion for all of us. It was such a great feeling to see my Mum again, and I felt so happy to be in England with my family for Christmas. Seeing the rest of my family would have to wait though – we still had a little bit of shopping to do. After a tour of the shops in Stevenage to pick up those missing presents, followed by a lunch in the town (during which we discussed how Stevenage had not changed since we left – it was still as much of a dump as always), we headed back to my parents’ house where we were greeted by more hugs and smiles as we saw the rest of my family. I couldn’t help but feel an immense sense of joy to be there, and the knowledge that we would be there for a whole week only made the feeling better. I was thankful to Christelle also, for agreeing to spend Christmas with my family in England instead of with her family in Switzerland. The following day, Christmas Eve, was spent in Cambridge, as Christelle, Kelly and I popped out for the day to have a stroll around the historic town, picking up my best mate Adam on the way. We wandered around the shops and the market, had lunch in a little café/restaurant, where Adam astounded us with his pizza eating skills (rolling the entire thing up like a carpet and devouring it like a hotdog), before we headed back home. It was good to see Adam again, only the third time I saw him in the entire year (the other two occasions being my Stag Do and my wedding), so we seized the chance to have a good chat and a laugh. When we got back to Stevenage we made a trip to Sainsburys to pick up some mulled wine, which we wanted to make that evening for my family to drink – Chris also used this opportunity to pick up some more Rosé. After drinking the mulled wine, and then having another go on Mario Kart, it came time to go to bed, in eager anticipation of what the following day will bring. I found it difficult to fall asleep as I tried to imagine my family’s responses to the various gifts we would give them, and my excitement about the Christmas lunch and the fun and games of Christmas Day meant it was a long time before I finally nodded off. Christmas Day arrived, and with it came the first of many Reed-Peck family traditions: a fluffy Rudolph the Red-Nosed Reindeer toy that dances and sings his theme tune is placed inside the door of anyone foolish enough to still be sleeping after 7am. Yes, 7am – my brothers may now be adults but they haven’t lost their childish desire to start Christmas Day as early as possible. Rudolph was placed in our room despite Chris’ threat to throw it down the stairs, and so we joined my family downstairs where we each met by an enormous sack full of presents from my parents – another family tradition. This year we had decided to do something similar for my parents, so they each got a sack of presents too. With a cup of coffee to help us wake up and “Now That’s What I Call Christmas” blasting out on the stereo to get us into the spirit of Christmas, we began opening presents. Around 9:30am, with roughly half of the presents opened, my mum decided it was time to get out the Bucks’ Fizz, giving everyone a morning dose of alcohol – Chris was surprised at the early timing of this round of drinks, but she certainly wasn’t averse to the idea as she knocked back a couple of glasses. Finally, around 11:30am, after a marathon session of present opening, I handed over one last present to my parents. This was a present I had made myself over the previous weeks, pouring hours and hours of effort into its production. To give a bit of background to my present, in the early years of our childhood my parents recorded video of various moments in our lives. 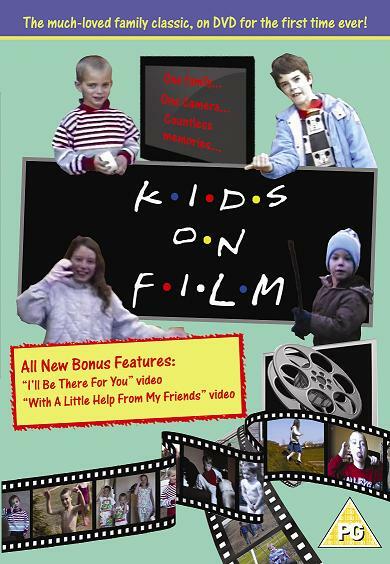 The videos were amalgamated into a single VHS tape, inventively titled “Kids On Film”, showcasing more than 3 hours of often hilarious childhood memories. This tape later became the most watched of our entire video collection, viewed more times than our other favourites like Disney’s “Aladdin” and “Toy Story”. With VHS slowing dying out following the evolution of DVDs, the tape was in danger of being unplayable in future. So, I decided (whilst still based in England) to copy the tape onto DVD to preserve it for future viewing. I told my parents at the time that I would just put it onto DVD and make a copy for them, although in truth I had other ideas. I decided that I would edit the film rather than simply copying it. As with all VHS recordings, there were parts of the original film that had static, blank sections, sound issues and image quality problems, so I spent time cutting and improving the original film. I then decided to make the DVD more accessible for future viewing by adding chapters, allowing the viewers to jump forward to later in the film, as you can with DVDs purchased in shops. I also created an animated menu screen as well, but my editing didn’t stop there. I decided to add an opening title sequence for the film, but I wanted it to have meaning as well, so I chose to do a “Friends” style sequence of funny or memorable clips from the film accompanied by the music “I’ll Be There For You” by The Rembrandts, as used in the TV series. I was especially pleased that I managed to include a clip of a very young Stephanie and me clapping for the appropriate part of the theme tune. To finish the film I had the idea of creating another sequence of clips from the film, this time to the tune of “With A Little Help From My Friends” by Joe Cocker, as used in the TV series “The Wonder Years”. I even called this bit “The Wonderful Years”, in tribute to the TV show and the fact that we had such a great childhood. To top it all off, I created a DVD cover to show exactly what was on the DVD – fortunately I had a copy of Adobe Photoshop, so did not have to resort to using Paint to do this. I think the end result looked pretty good, and the look on my parents’ faces when they opened my present made me feel that the hours (and days) of work I put into making the present were all worthwhile. We promptly popped the DVD in and watched the two clip sequences I had made, and I could tell that my parents were happy with their gift. That signaled the end of the presents for this Christmas, but by no means was it the end of the festivities. As part of yet another Reed-Peck family tradition, my sister mixed some Snowballs (advocaat with lemonade) and we drank them whilst eating mini sausage rolls and assorted crisps and peanuts. These pre-lunch nibbles always go down a treat, and somehow never manage to spoil our appetite for the big Christmas lunch. “Big” could possibly be replaced by “enormous” in terms of the size of our lunch. Accompanying the giant turkey – which I presume must have been fed steroids by Bernard Matthews, given the sheer size of the thing – were scores of roast potatoes, roast parsnips, stuffing, pigs-in-blankets, brussel sprouts, carrots, cabbage, green beans and cranberry sauce. Despite there being enough food on our plates to feed entire villages in Africa for several days, we managed to eat the lot – and that was by no means an easy task. As we sat back feeling entirely satisfied from our meal, dessert was brought out. A choice of traditional Christmas pudding, banoffee pie or ice cream, I went for the pudding and duly ate my share along with lashings of squirty cream. Even that was not the end of the feast, however, as we then got the chocolates out – various boxes containing chocolatey goodness appeared on the table before us, including After Eights, MatchMakers (a personal favourite of mine) and Bendicks’ mints, and we helped ourselves to as much as we could manage. Whilst still struggling to move after the scale of our consumption, we moved on to another Christmas tradition – the family board game. This year, as with many previous years, the choice of game was “Pictionary”. In the interest of fairness, the teams were assembled by randomly picking names from a hat. Being on the side of either Dad or James is always an advantage, due to their artistic skills, whilst other members of the family are somewhat less-skilled at sketching, so the aim of the random selection was to try and make the teams evenly balanced. As it turns out, this didn’t really happen as the one of the teams consisted of Dad, James and myself. Not surprisingly, we won. There were arguments along the way from various people, with accusations of cheating and demands for improvement in the quality of sketches (along the lines of “That’s not what a duck looks like!”), but these are par for the course with any family board game, and are only to be expected. Insults and accusations aside, it was a lot of fun and we enjoyed ourselves. The afternoon moved into the evening where, despite our lunch time gluttony, we still managed to eat a buffet-style dinner – my Mum prepared little plates and bowls containing bread, salads, cold meats, crisps, dips and other assorted side dishes. Prior to re-stuffing ourselves, family board games had stepped aside to allow a different type of game to take over – "Pontoon", a card game that is pretty similar to Blackjack. This was Chris' first time playing this particular game, and we always play for money (albeit with pennies). I feared that Chris would blow her entire £1.00 through a lack of knowledge of the game, but to my surprise she wasn't too bad. Ok, so she lost some money, but then so did I, so I can't really complain. We played this game for a couple of hours, taking in yet more alcohol as we played, stopping only to fill up our plates from the buffet. After finishing our game and polishing off the food, we relaxed on the sofas and chatted into the evening, before heading off to bed. Throughout the whole day I think I drank two cups of coffee, and every other drink I consumed contained at least a small amount of alcohol, including Bucks Fizz, Snowballs, red wine, beer and whisky. The other members of my family were equally as prolific with their drinks – perhaps best shown by the number of bottles of rosé that Christelle and Hayley managed to get through – yet amazingly, none of us seemed to be drunk (unless we were all so drunk that we didn’t notice). When we finally turned in for the night after a long day, falling asleep was considerably easier than in the previous days, as all the stress of the cancelled flight, last minute Christmas shopping and a long day of intense family fun drifted out of our bodies leaving us to dream in peace. Boxing Day afternoon in the Reed-Peck family is normally spent at my Uncle Pete’s house, and this year was no different. After indulging ourselves with another generous helping of turkey, this time in the form of cold turkey with ham, sautéed potatoes and peas, we headed over to his house for the evening. More food, washed down with yet more alcohol, was on the menu in a superbly well-decorated house – Pete and his family are not the kind of people to say “Bah humbug” to Christmas, as they fill every available inch of wall and ceiling space with twinkling lights, dangly shining foil and baubles, making their living room even more Grotto-like than Bernard’s. As part of the Boxing Day festivities, my immediate family is joined by Pete and his wife Laura, plus their two sons Anthony and Sam, and my Aunt Linda, her husband Alan and son Victor (their other son, Phillip, was up north for Christmas this year), giving us a fairly large crowd of people to mingle with. Mingling was made easier by the introduction of another family board game, this time “Pass The Bomb” – a fun game of fast-thinking that seems to get harder (and funnier) as the level of alcohol in the body rises. By the end of the game, and subsequently the end of the evening, we were all tired from laughing so much, and made our way back home to sleep. The next day was a very relaxed affair for us, a chance to recharge our batteries after a hectic few days. More food, more alcohol, and more Mario Kart (we just can't seem to get enough of the Italian plumber-based madness). In the afternoon my Dad, Christelle and I went to Cineworld in Stevenage to see “Avatar” in 3D. It was an incredible film, a good storyline with such amazing graphics; it’s no surprise to see it has now become the highest grossing movie of all time. Late in the afternoon, my sister left with Chris and Hayley to drive out to collect her new cat. She had decided that, since she now lived in a flat on her own, she would like some company in the form of a fluffy kitten, and had arranged to pick one up from someone in south London. Several hours after they left (three women plus a TomTom doesn’t necessarily mean a quick, well-planned trip), they re-appeared with “Malika”, a grey kitten with black stripes, who promptly hid in the gap behind the TV in the living room. My Dad was not best pleased to have a cat in his house, considering he hates the creatures, but he managed to restrain from saying anything disparaging about the latest addition to the Reed-Peck family, and everyone had a go at stroking him (the cat, not my Dad). Monday came, and with it the opportunity to see my friends. We had arranged to go out for a meal at the Raja Tandoori in Knebworth – anyone who has read my previous blogs will know that I am a big fan of the food they serve at this restaurant, so I was really looking forward to it. Before meeting up with everyone at the restaurant, Chris and I were picked up by Andy and his girlfriend Sandra, who was about 4 months pregnant at the time. We went out for a beer (Diet Coke for the expectant mother) and had a chat to catch up on what has been happening in our lives since we last saw each other in September. It was great to speak to both of them as they are going through their first pregnancy, something that Christelle and I hope to experience in the not-too-distant future, so we were eager to learn more about what it is like for both of them. After we finished our chat and our second beer (or Coke) we headed over to the restaurant where we joined up with my old friends. Excellent food, plenty of laughs, and a good few drinks followed, and I think it is safe to say we all had a good time. It was good for me to see all my friends again, and at the same time a little strange to have been out of everyone’s lives for a few months. When Tuesday dawned, I awoke to the reality of the fact that we would be leaving to go back to Switzerland in just a couple of days, and that filled me with a strange feeling of sadness, despite the fact that I still had two whole days to share with my family. We made the most of the time we had by chatting, joking and generally being together. The same recipe followed on Wednesday, and my sense of sadness at leaving increased as we came nearer the time to leave. That evening we said goodbye to my brothers and sister, plus Hayley and Kelly, and my Dad (who had to work the next day) and went to bed knowing we would have to wake up very early (alarm set for 3am) to go to the airport. On New Year’s Eve at around 4:30am, we said goodbye to my Mum at Luton airport. It was another tearful goodbye, fueled by the fantastic Christmas time spent together and the knowledge that it might be some time before we see each other again, as I had yet to find a job and therefore could not be certain when we could afford to return. As we touched down in Switzerland, I tried to block any sad thoughts out of my mind, preferring instead to focus on the more positive events in the immediate future, like New Year celebrations and then Christmas with my Swiss family. New Year itself was fairly subdued this year, as none of us felt we had the energy to go out and party, least of all Christelle and I who had been awake since the very early hours of the morning. We had a nice meal together, played some games, and then watched the announcer on TV proclaim that it was now 2010. Despite the relaxed nature of our celebrations, it was fun and enjoyable and just being together was already special. For me, the New Year marked the end of a year that was both hectic and life-changing, a year in which I married the love of my life and chose to follow her to Switzerland, heading into the relative unknown. 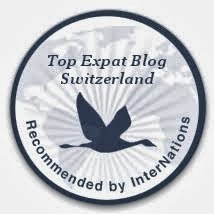 2010 would also be a year filled with challenges and changes, as I would increase my efforts to find a new job in my new country, and Christelle and I would also seek an apartment of our own to really start our life together in Switzerland. We ushered in the New Year with fond memories of the events of 2009, and looked forward to the new life that awaited us in 2010. On the 2nd January 2010, we celebrated our third Christmas, this time with Nelly, Bernard, Caroline and Pascal. For lunch we had a nice raclette meal, eating as much cheese as we could manage (there was still plenty leftover). Then it came time to exchange our presents. The big surprise for Bernard this year came from Nelly, who presented him with a new Père Noël for his collection. But, this was a Père Noël with a difference – it was 4ft tall. We watched on as Bernard’s eyes opened wide at the first sight of his present, and the enormous smile that spread across his face was heart-warming as we could literally see the joy he felt. He must have spent about 10 minutes looking lovingly at his new Santa before we got down to the other presents, all of which were well thought out and truly appreciated by the recipients. All in all, it was a very enjoyable Christmas with my Swiss family. And so, the festive season drew to a close. As we threw out the now very dead Christmas tree, with it Christelle and I said goodbye to the most momentous year in our lives. Who knows what challenges lie ahead as we welcome in the new decade? Which direction will our lives will take as we embrace Swiss life in our own, unique way? Whatever happens in the future, I know I am glad to have my wife by my side for support, guidance and – above all – love. I am thankful that I was lucky enough to spend a wonderful Christmas with my amazing family in England, whom I will miss everyday I am apart from them. I am also glad that I will get to see my brother Adam marry the love of his life this year too, an occasion that I wouldn’t miss for the world. My New Year's Resolution? To write smaller, more frequent blogs. Here's to 2010 - Cheers!